The oldest performer ever to be nominated for an Academy Award (for her portrayal of Old Rose in 1997’s Titanic), Gloria had celebrated her 100th birthday on July 4, 2010 with 130 friends and family at a party and retrospective hosted by James Cameron and Suzy Amis Cameron. Guests enjoyed more than two dozen of Gloria’s oil paintings, several of her handmade books, and two of her bonsai. On July 22, Gloria attended a Centennial Celebration of her career by the Academy of Motion Picture Arts and Sciences; she was also honored by the Screen Actors Guild for her 70-year membership and service. 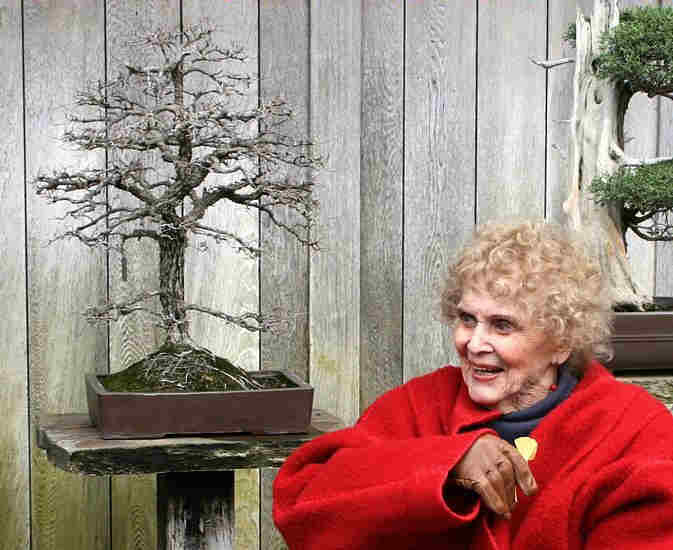 In August, the southern California bonsai community gave Gloria another birthday celebration at the Huntington Library and Gardens; four of her trees were on display. Even in her hundredth year, Gloria’s enthusiasm for life was contagious; she always kept her sense of wonder, always lit up with childlike joy when encountering something new or beautiful, always exhibited a strong and ribald sense of humor. She was a delight to be near; would that we all could grow so old, yet remain so young.